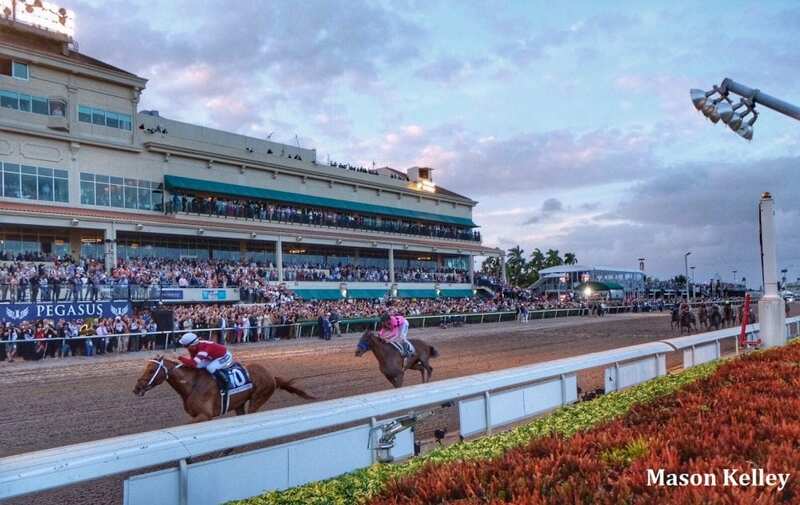 The release of tickets for the Pegasus World Cup comes quickly following The Stronach Group's announcement of the addition of the Pegasus World Cup Turf Invitational to the race-day card. The Pegasus World Cup Turf Invitational, which replaces the Gulfstream Park Turf Handicap, aims to attract and showcase twelve of the best older turf horses from around the world, turning the $16 million Pegasus World Cup Invitational into a Championship Invitational Series. This entry was posted in NL List, Pegasus World Cup, The Biz and tagged gulfstream park, pegasus world cup, Pegasus World Cup 2019, Pegasus World Cup Invitational, Pegasus World Cup tickets by Press Release. Bookmark the permalink.